Using a crate to train your dog is a very effective method. 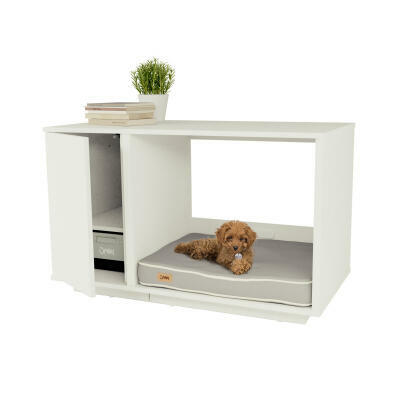 It gives your dog a comfortable place for them to call their own, one which will serve as both a place of rest and of reward. There is nothing sweeter than seeing your dog curl up in their crate and fall asleep after a good training session, or at the end of an energetic day. This section of the guide contains a variety of pages on dog crates, from where to place them to how to use them. 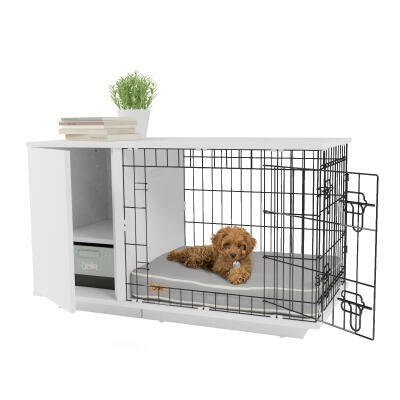 It's very common for people to assume that crate training is cruel and that dogs don’t like small spaces, but it has been shown that dogs love a calm, safe place that they can rest in and call their own. 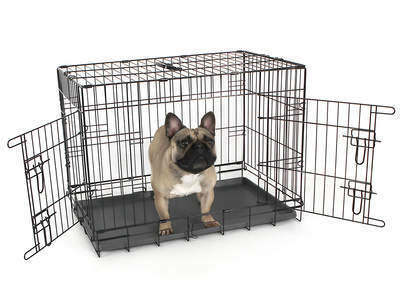 A dog crate offers a place to train as well as a place to sleep at night. It offers security from loud noises like fireworks and thunder, and a place to snooze after a long and tiring walk.